Glenn Close attends the 2019 Film Independent Spirit Awards on February 23, 2019 in Santa Monica, California. For her bag, Glenn Close chose a mauve satin envelope clutch. 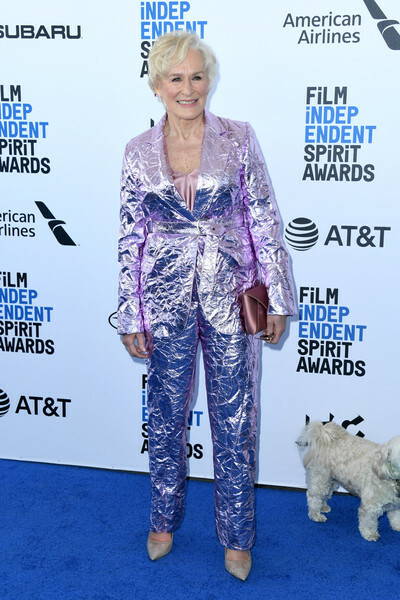 Glenn Close looked funky in a foil-like pink pantsuit by Sies Marjan at the 2019 Film Independent Spirit Awards. Gold Jimmy Choo pumps finished off Glenn Close's outfit.